Facebook’s acquisition of Bangalore-based startup Little Eye Labs -- which was originally reported in early December, with more details emerging later that month -- is now official. Facebook’s acquisition of Bangalore-based startup Little Eye Labs — which was originally reported in early December, with more details emerging later that month — is now official. Terms of the transaction were not disclosed, but “multiple sources” told TechCrunch last month that the deal would be valued at between $10 million and $15 million. As previously reported, the Little Eye Labs team will join the social network’s mobile engineering team in Menlo Park, Calif.
I’m excited to announce that we’re acquiring Little Eye Labs, a company that produces world-class technology to help developers build more efficient products with Android. This is an opportunity to welcome some of the industry’s most talented engineers to our team in Menlo Park, Calif. At Facebook, we remain focused on producing useful and engaging mobile applications. The Little Eye Labs technology will help us continue improving our Android code base to make more efficient, higher-performing apps. Today, we’re very excited to announce that Facebook is acquiring our company. 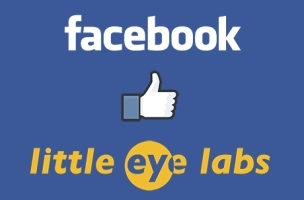 With this acquisition, Little Eye Labs will join forces with Facebook to take its mobile development to the next level. This is Facebook’s first acquisition of an Indian company, and we are happy to become part of such an incredible team. Little Eye Labs was founded about a year ago by a bunch of program-analysis geeks who wanted to build better tools for mobile developers, and it was later backed by GSF and VenturEast Tenet Fund. We released our official version of Little Eye for Android in early April of last year, and since then, we have had many Android developers and testers using Little Eye Labs to measure, analyze, and optimize their apps’ performance. We’re thankful for the opportunity we’ve had to make an impact in the development of some of the best apps out there. The entire Little Eye Labs team will move to Facebook’s headquarters in Menlo Park, Calif. From there, we’ll be able to leverage Facebook’s world-class infrastructure and help improve performance of its already-awesome apps. For us, this is an opportunity to make an impact on the more than 1 billion people who use Facebook. Of course, we want to make sure we treat our customers well even as we make this transition. Current customers of Little Eye will receive further information on plans to offer a free version of Little Eye until June 30, 2014. More information can be found on the downloads page. This has been a fun and exciting journey. We’re eager to be working alongside the incredible team at Facebook, and together, we’ll continue on our mission of building awesome analysis tools to aid in the development of brilliant apps. 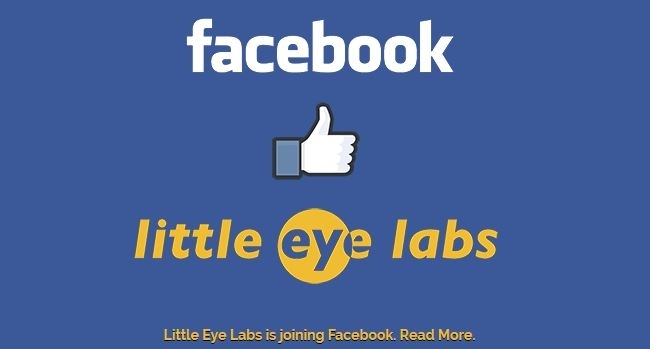 Readers: How will the acquisition of Little Eye Labs help Facebook’s mobile efforts?